The 2016 TP52 World Championship began Wednesday with two windward leeward races in 12-20 knots from the southwest. There was a decent seaway as a front had passed through the area during the night. The World Championship fleet consists of 12 boats from 8 countries. The racing is very tight as all the teams are at a very high level. I am skippering Richard Cohen’s Phoenix. Our tactician is Peter Holmberg and we have a great team many of whom I have raced with before in other projects. It is however the first time all of us have been together onboard Phoenix. Yesterday, we had two good starts and decent speed upwind and downwind. However, we made little mistakes here and there and it all adds up quickly in this fleet. We finished 10th and then 9th which of course didn’t feel great. But it is what we deserved. Quantum sailed very well after getting two poor starts. They showed how to win by sailing consistently fast and making high percentage choices tactically. This team has great sailors but more importantly they have been at this TP52 game for more than 5 years straight. Ed Baird is their helmsman and Terry Hutchinson is the tactician. Today’s forecast is for lighter winds and the race schedule is calling for one windward leeward race followed by a short coastal race. We struggled to find speed during the training days in the light winds. We have made a couple changes and are looking forward to seeing how we go today. When purchasing Phoenix earlier this year, Richard’s goal was to join the TP52 Super Series when the fleet comes to Key West to starts its 2017 season. The strategy was to use 2016 to build a competent team and learn the boat so we could compete in 2017 for podium spots. We modified our program this year and decided to jump into the fray early by coming here to Europe to race the last two events of the 2016 season. This will no doubt steepen our learning curve, albeit while eating a bit of humble pie. The TP52 Super Series organization is first class. The hospitality and organization is well oiled now in their third year. Any team owner would be comfortable here and proud to bring his guests. 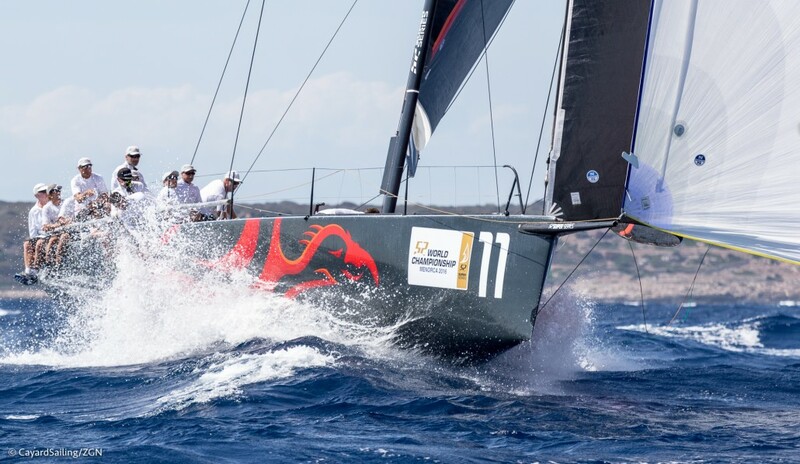 It seems that TP52 Super Series racing is a complete package.